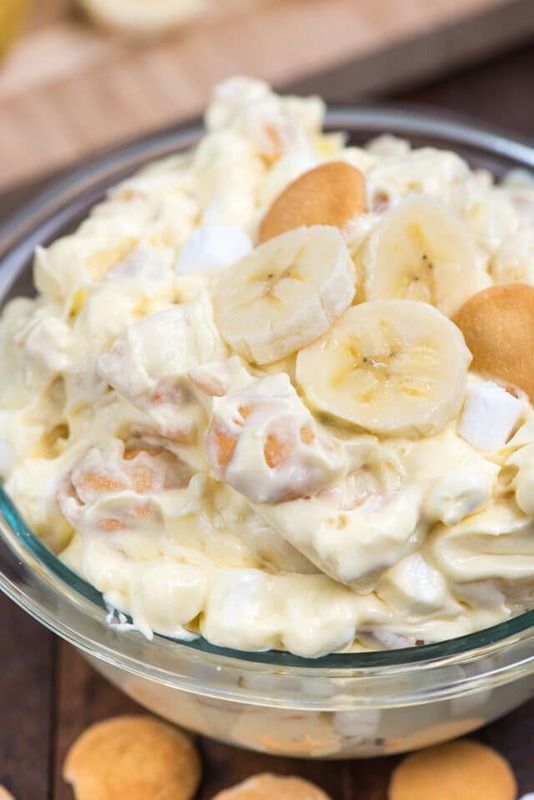 This isn’t any old Banana Pudding recipe – it’s a Banana Pudding Fluff Salad! 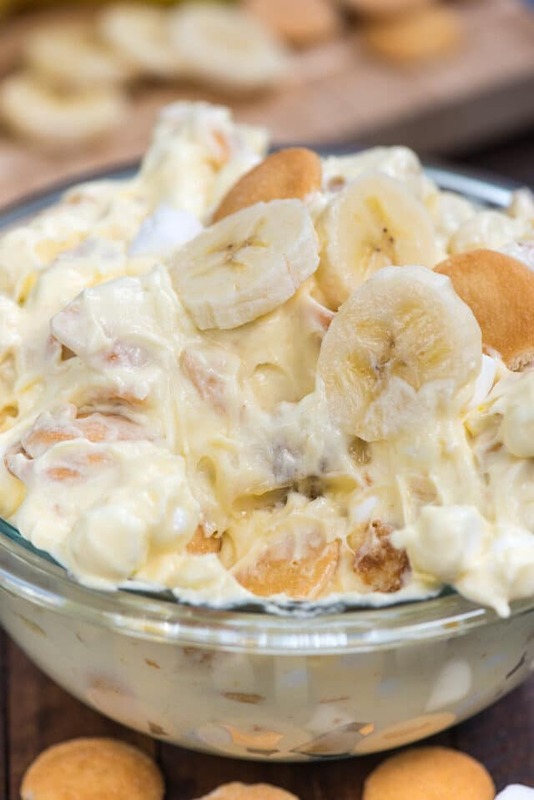 This easy no-bake dessert salad is full of bananas and Nilla Wafers and is the perfect alternative to traditional banana pudding. Fluff salads are a relatively new thing to me. We never ate them growing up, but I know they’re a staple side dish on many a holiday table. As a child I probably wouldn’t have touched most fluff recipes because I wasn’t a fruit lover and they’re full of it. As an adult, fruit is so-so for me, but I’ll eat apples and bananas, both of which do really well in fluff. (Have you tried my Cheesecake Apple Fluff Salad? It’s to die for.) I love the sweet creamy texture mixed with the crunchiness of the apples. Now that spring is here and another summer is just around the corner, I’m thinking about easy potluck dishes and no-bake desserts. Entertaining is something we love to do in summer – and it’s hot as hades here – so both those categories are right up my alley. Fluff salads are the perfect side dishes all spring and summer long! This Banana Pudding Fluff isn’t your momma’s banana pudding, that’s for sure. It’s a Banana Pudding Fluff Salad that’s full of all the things you love about traditional banana pudding. What is a fluff salad? If you’re like me and had never heard of fluff salad until Pinterest, then let me explain a little bit about what it is. A Fluff Salad is a dessert salad usually made with pudding and/or cool whip, sometimes cream cheese, fruit, marshmallows, and sometimes nuts. Traditionally, a fluff salad is a bit like ambrosia, and is a pudding base filled with pineapple, pecans, and maraschino cherries in it. I don’t know for sure, but I’m betting it started in the south or midwest because growing up in California, it’s not a thing. I’m also betting it got it’s start in the 70s when Jell-O was invented. Fluff salads are made with oranges, berries, cherries or any kind of fruit you can think of. 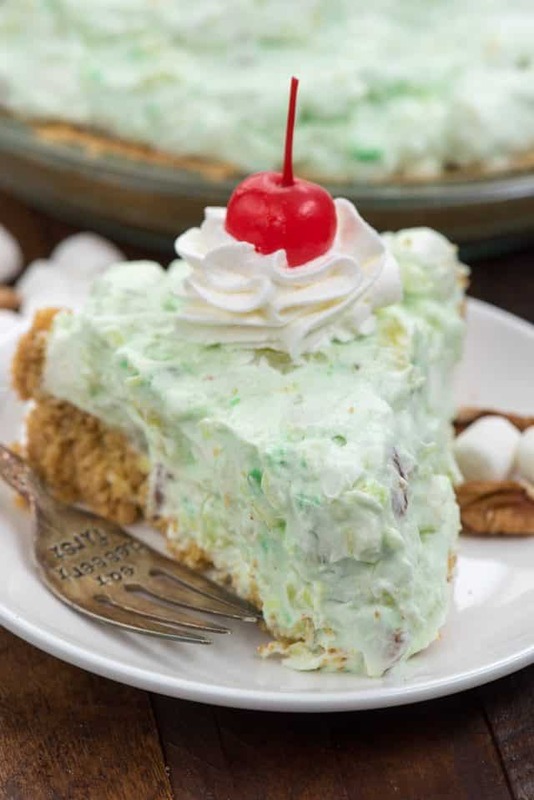 You can use vanilla or banana or pistachio pudding mix or any flavor, and some fluff salads are made with cottage cheese in them. Really, the sky is the limit and the options are endless. Must-have ingredients for fluff salad are: pudding, fruit, and marshmallows. 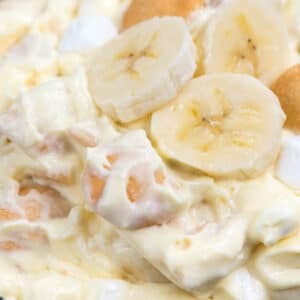 This version of a fluff salad uses pudding mix and bananas to mimic a traditional banana pudding recipe with Nilla Wafers. My version of a fluff salad uses vanilla or banana pudding. You can use what you like, but traditionally banana pudding is made with vanilla pudding and chunks of banana. Banana pudding is often made served in a 9×13-inch baking dish or a trifle dish. It’s generally vanilla pudding (either homemade or from a box) and it’s layered with Nilla Wafers and chunks of banana and whipped cream or cool whip. My favorite banana pudding uses butter cookies, but you can use whatever you like. This Banana Pudding Fluff Salad is a marriage of these two traditional favorite recipes! With just 6 ingredients, this fluff salad comes together in just a few minutes. Normally, the canned fruit used to make a fluff salad is all the liquid you need to set the pudding mix, but since we’re using banana I had to use a bit of milk. Since I wanted a thick mixture, I only used one cup, half of what’s called for on the box. Mix the pudding mix with milk and let it set. Since traditional fluff recipes are made with Cool Whip, that’s what I used. It stands up better too; Cool whip is more stabilized. Be sure your bananas are ripe but not overly so; you don’t want them to turn to mush. Nilla wafers give a nice crunch and are the traditional banana pudding cookie, but you can use shortbread or butter cookies too. Marshmallows are a must and give the salad the FLUFF it needs! Store this in the refrigerator but eat it within one day, otherwise the bananas will brown and the cookies will get soggy. 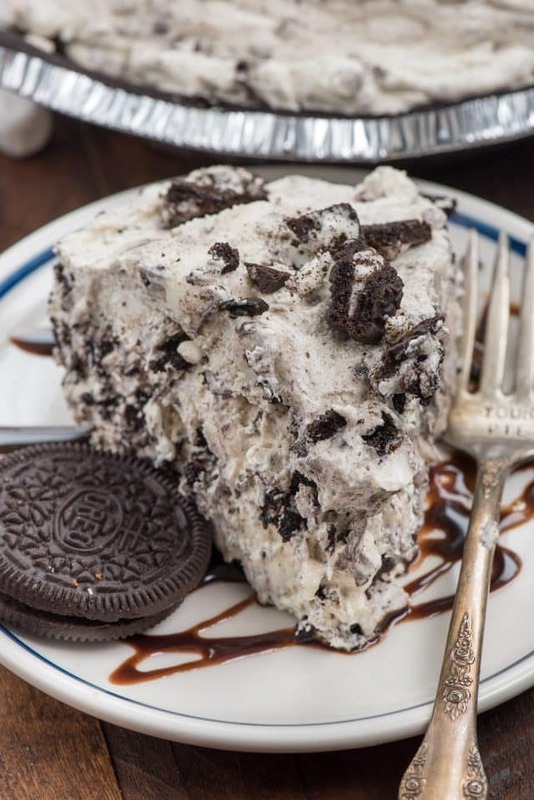 Want to make a fluff pie? 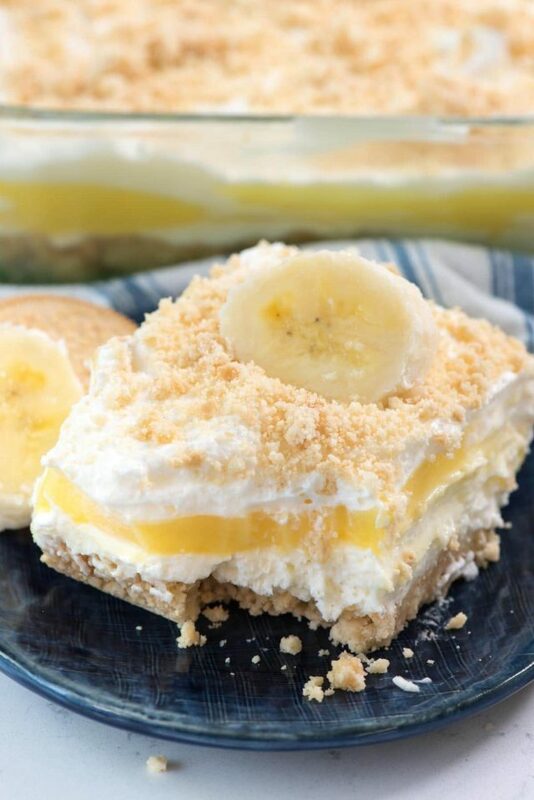 Put this banana pudding fluff into a graham cracker crust and serve it as pie! This isn't any old Banana Pudding recipe - it's a Banana Pudding Fluff Salad! 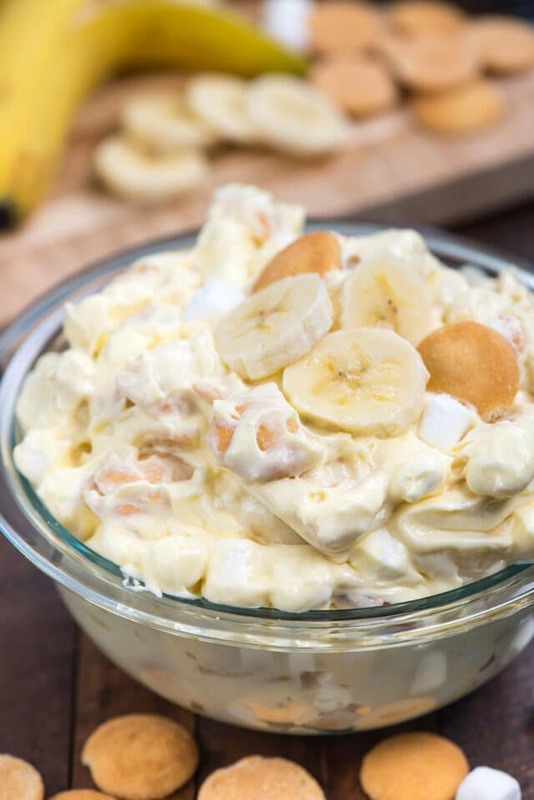 This easy no-bake dessert salad is full of bananas and Nilla Wafers and is the perfect alternative to traditional banana pudding. Whisk pudding mix and milk in a large bowl. Let sit 3 minutes to set. Stir in Cool Whip. Then stir in marshmallows, cookies, and sliced bananas. Serve the same day it's made (bananas will turn brown with age and cookies will soften). Don't have Nilla Wafers? Use any shortbread or butter cookie instead. Do you make the pudding according to box plus one cup of milk or just the cup of milk with mix?